A team of international researchers, including Dr. Kaley Walker, an atmospheric physicist at the University of Toronto, has reported an unexpected increase in hydrogen chloride, a chemical responsible for damaging the ozone layer in the atmosphere. The researchers recently published their findings in the journal Nature, providing evidence of a trend towards a higher concentration of hydrogen chloride in the northern hemisphere since 2007. Based on measurements and observations from independent satellite data sets, ground-based observations, and simulations from various models over the past three decades, the study reveals that hydrogen chloride levels had been declining after 1997, in line with what was predicted, but then reversed in 2007. This decline was predicted after the signing of the Montreal Protocol, an international effort to reduce the ozone hole over Antarctica, in 1987. The Protocol aimed to control the production of ozone depleting substances like chlorofluorocarbons (CFCs) that produce hydrogen chloride as a by-product of consumption. However, despite the decrease in CFC production, Walker explains that the recent increase in hydrogen chloride levels is a result of slower circulation of “old air,” which has been carrying the ozone-depleting chemical into the Northern Hemisphere’s lower stratosphere since around 2005 or 2006. While CFCs and related chlorine and bromine halogens are produced in comparably lower quantities today, when present, one atom of chlorine can destroy over 100,000 ozone molecules. According to the study, stratospheric circulation variability, as observed here could lead to an unpredictable increase or redistribution of hydrogen chloride; therefore, there is a need for careful monitoring in the path of ozone recovery. “We are on the right track because of the Montreal protocol… we are seeing small variations in how that recovery is happening, because of the atmosphere being a very complex thing,” says Walker. Walker adds that we should continue to monitor the atmosphere because of these smaller variations that occur at various altitudes, and to ensure that the models that are used to predict ozone layer recovery are representative of what is seen in the atmosphere. The recent vote on the Graduate Students’ Union’s (GSU) continued membership in the Canadian Federation of Students (CFS) and the CFS-Ontario (CFS-O) did not reach quorum, according to referendum Chief Returning Officer (CRO) Stephen Littley. The quorum requirement for the vote was 10 per cent of eligible voters. 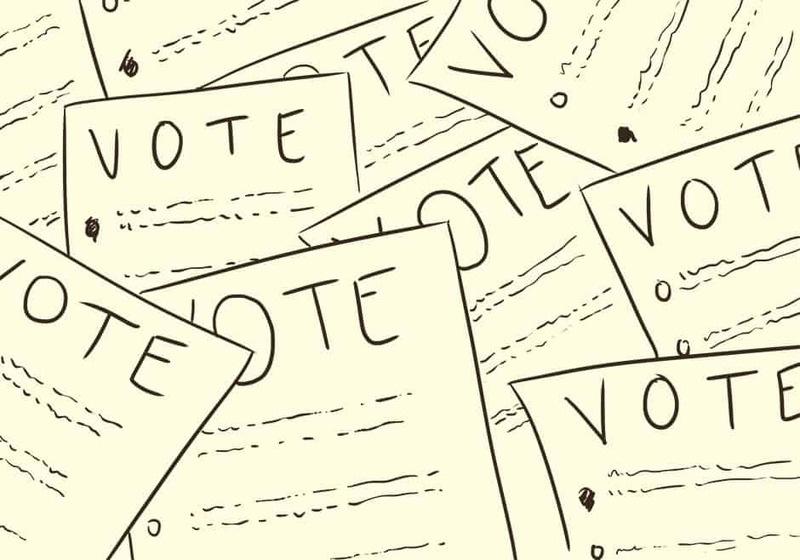 “[T]he total number of eligible voters was 16,056 putting quorum at 1,606. The total number of votes cast was 1,599,” reads a message posted on the CRO’s website. “The vote, therefore, was not quorate,” the message continues. As of press time, the final results could not be released until administration confirmed double enveloped ballots that will then be counted. Alastair Woods, CFS-O chairperson, confirmed the CRO’s message. “According to the Chief Returning Officer, the referendum did not quorate, and so the referendum process has completed,” Woods says. Members of the GSU have been fighting for the chance to decertify from the CFS since at least September 2013, when a petition was submitted to the CFS. The petition was rejected just weeks before the referendum to vote was scheduled to take place. A GSU Litigation Committee reached a settlement with the CFS in October. The GSU has no formal position on its status as a member of the CFS, nationally or provincially. Brad Evoy, an organizer with the “No” Campaign, contends that, in the campaign’s view, they have met the needed threshold for quorum. Evoy says that the next stages will be to have CFS and CFS-O recognize the will of members. “The claims of the Federation are statistically insignificant, and derived from questionable numbers and suspect processes. However illegitimate, the CFS is doing (and will do) whatever it can to deny the democratic will of students,” Evoy says. “This vote is the single strongest mandate the UTGSU has had — in terms of voters engaged — in the past decade and that mandate is to leave the CFS,” he adds. Voting was held between Monday, November 24 and Friday, November 28. Graduate full-time enrolment in Ontario in 2012–2013 was 56,188 students. A number of University of Toronto divisions, including the Engineering Society, the Trinity College Meeting, and Victoria University Students’ Administrative Council (VUSAC), passed referenda in favour of fee diversion from the CFS-affiliated University of Toronto Students’ Union in March 2013. After serving half of his term as vice president, university affairs on the University of Toronto Students’ Union (UTSU) Executive Committee, Pierre Harfouche has resigned from office. Harfouche broke the news to the UTSU Board of Directors in a resignation letter sent via email on November 26. His letter cited an inability to accomplish his key goals, his deteriorating mental health, and his discomfort with being paid by students who he feels unable to represent. Harfouche was the sole Team Unite executive elected in March 2014. He was the first executive member who did not run on a slate that included incumbents in eight years. Previously, Harfouche served as a director on the UTSU board, where he urged the union to recognize the positions of divisions seeking fee diversion. 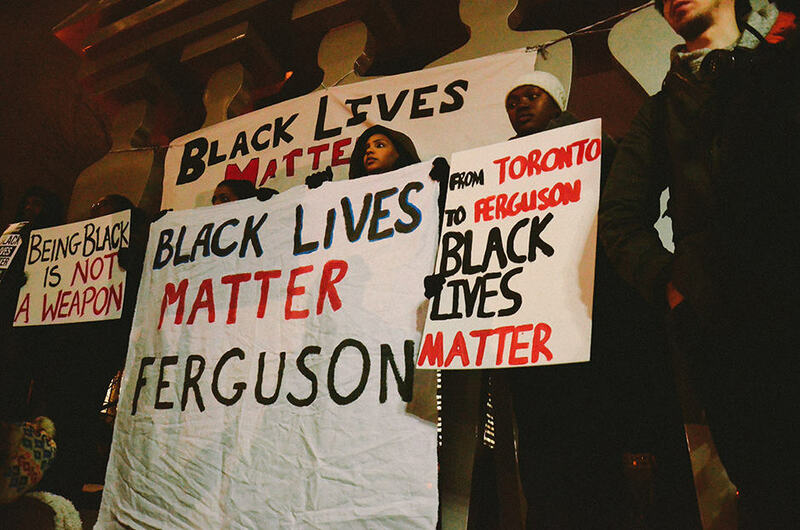 Asha*, a member of the UTSU Board of Directors, notes the rift between what she views as two different sides. “Throughout the summer and continuing into the school year, you could definitely feel the tension and divide between Pierre and — I won’t say all of the [executives] — but a lot of the [executives]… I really almost felt like I was back in high school and they were two different cliques in the UTSU,” Asha says. “I just feel like there’s a difference between socially not getting along and then literally kind of stopping him from doing his job,” Asha says, referring to an incident in which she alleges that Harfouche was intentionally not notified of legal counsel’s presence at a Board of Directors meeting during the summer. “If other [executives] are notified that legal counsel is coming, then he has the right to be as well. I felt that they were trying to make him look stupid and unprepared,” she says. Yolen Bollo-Kamara, UTSU president, says that she has always worked to maintain a safe and respectful working environment for all members of the UTSU executive, as well as all other staff, volunteers, and board members. She adds that she has made a point of addressing any issues brought to her attention with the individuals involved. When Asha brought her concerns to other members of the UTSU executive, she did not feel that they acknowledged how Harfouche was treated. “I felt so strongly about how they were treating him that I even went to some of the [executives] to talk about it. I said, ‘I’ve heard some other execs talking about this, and even about how the board members [sic] talking about this,’ and I was really taken aback and embarrassed, and [Yolen] was like, ‘oh, I didn’t know that was how you took it,’ and kind of got defensive about it,” Asha recalls. Bollo-Kamara alleges that Harfouche broke the UTSU’s bylaws. “Pierre has been made aware that he has broken the bylaws on numerous occasions, from not working the minimum required hours, to failing to pass a budget for the Academic and Student Rights Commission that he chairs,” she says. Harfouche claims that he did pass a budget for the commission and it was approved by the Budget Committee. Harfouche said that it was approved in October, before the approval of the UTSU’s operating budget. 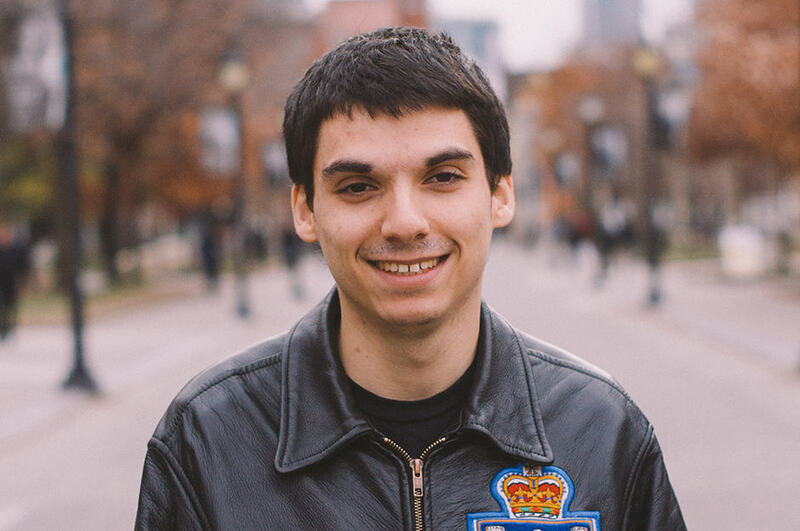 “It was difficult to work when access to information was difficult or worse, information was being withheld from me… information in the UTSU is extremely limited and shared on a need-to-know basis, regardless of whether or not it is illegal to withhold such information,” Harfouche alleges. “I cannot work in an environment where the executives fundamentally do not want to share information with coworkers or the Board of Directors,” he adds. Naming the management of the Student Commons project as an example, Harfouche says that, from day one, he was repeatedly told that the Student Commons Operating Agreement was not available for executives to see and that only individuals involved in the negotiations and the president could view the agreement. “Hours later, I found out that this information was categorically false, as the agreement had already been posted publicly on the governing council website and had been discussed and debated at the University Affairs Board,” Harfouche says. Harfouche also claims that the UTSU seems to have created a Student Commons Committee but does not know when exactly it was created. According to Harfouche, the committee is comprised of the vice-president internal, the president, and the vice-president, campus life. Although the committee produced promotional materials to lobby governors for the approval of the Student Commons project, Harfouche claims that there was no selection process for this committee and that it never sought input from the other executives or the Board of Directors. Bollo-Kamara says that Harfouche would often complain about not knowing information after missing a training session without letting others know. “We worked to schedule things around his full-time work commitments for much of the summer, but he frequently missed or caused the postponing of important information sessions on staff relations, how the office functioned, the student commons project and more, due to unexpected absences,” Bollo-Kamara says. In his resignation letter, Harfouche also implored the Board of Directors to consider the power dynamics within the UTSU. Harfouche claims that he was never able to access UTSU archives without being accompanied by a staff member — an instruction that he says came from the executive director and the vice-president, internal. “I bear no ill-will to the staff in the office, but rather to the policies which the UTSU has adopted which concentrate all office-related decisions into the hands of two or three individuals,” he says. Harfouche also took issue with the executive compensation system. Harfouche says he was unwell for two full weeks in November and thus unable to fulfill his duties. “Four days into my illness, I requested that my salary be withheld as I had essentially just taken unpaid time off. My request was ignored — even after following up two days later,” Harfouche says. Among Harfouche’s concerns is the process used to gather feedback on initiatives. “Simply telling students and student societies to submit alternative board proposals doesn’t move the conversation forward,” Harfouche says. Harfouche suggests that the UTSU should be making documents to help students create legal, complete, and equitable proposals instead. “Within the Executive Committee we prioritize working towards consensus on decisions where possible, and at minimum ensuring that all perspectives are heard and given due consideration,” Bollo-Kamara says. Harfouche also alleges that the minutes of executive and Board of Directors meetings were heavily edited and that entire arguments were misrepresented. “It became extremely hard for me to express myself at executive committee meetings because I had absolutely no way of proofreading the minutes before they were sent to the board for approval,” says Harfouche. During Harfouche’s last week in office, he alleges that his final executive report was modified to remove a paragraph about the University of Toronto’s mental health report and how board members could send him feedback to forward to the university. “When the board package was released, there was absolutely no mention about mental health — no other executive had even mentioned it in their own report. I had even sent the executives an email informing them I put this paragraph explicitly in my report and that I invited others to build on it,” Harfouche says. Since the UTSU’s bylaws prevent any by-election from being held between December 1 and September 10 of any year, the UTSU will take applications for the position of vice president, university affairs. From the applicants, no fewer than two candidates will be chosen to present to the Board of Directors, who will then decide who will replace Harfouche. The process has raised concerns among some campus leaders. “The fact that the Executive has the power to create a very small short list, and thereby exclude candidates that they may not like but who would do a better job, is especially concerning,” say Tina Saban and Connor Anear, co-heads of Trinity College. Teresa Nguyen, president of the Engineering Society (EngSoc), also expressed a lack of confidence in the procedure. “EngSoc has already determined that all of [UTSU’s] processes are so broken to the point where they can appoint their own incumbents,” she says. *Name changed at source’s request for anonymity. Tucked away amid the little shops along Queen Street West sits Kops Records, one of the oldest record stores in Toronto. Regarded as the last man standing among the record stores of Toronto’s past, the 38-year-old store stands out for having weathered the vinyl industry’s long and bitter drought with hardly a scratch to show for it. Locations such as Sam The Record Man and A&A Records both declared bankruptcy within the past 25 years and were replaced by CD shops and online downloading. Increasingly, record stores are incapable of keeping up with the rapidly changing modes of music distribution. Many record stores, not only in Toronto, shared the same fate and declared banruptcy. Somehow, perhaps even miraculously, Kops Records was spared. For Andrew Koppel, the son of Kops Records’ founder Martin Koppel, seeing these monumental record stores being driven out of business was a bittersweet experience. Though it marked the end of an era, in some ways, Kops reaped the benefits of the change. While most of these companies made it increasingly difficult for a smaller store like Kops to maintain business, inexplicably, Kops survived. Major vinyl retailers found it impossible to break even and many were forced into switching over to CDs. Meanwhile, Kops Records survived the recession with nothing but a few minor hiccups. 45s are the equivalent of the singles that musicians release online before releasing their full album. Singles were released on smaller records, and were played at 45 rpm, compared to a regular LP’s 33 revolutions per minute. The faster the rpm, the faster the record plays through. Nowadays, with the resurgence of vinyl, business is booming for Kops Records. “By about 2006–2007, we were making enough money on vinyl that we didn’t need to sell t-shirts anymore, so we started fading it out slowly,” says Koppel. But that does not mean that the business today doesn’t have challenges to contend with. Despite the return of vinyl’s popularity, the question of buying records over downloading music online remains. While it is certainly easier and more convenient to download music owning off of iTunes or otherwise, there’s an argument to be made for a physical copy of the music you choose to listen to. “I just theorize that it’s filling a void here,” suggests Koppel, contemplating the benefits of buying records rather than downloading albums. “You say to yourself, ‘Why am I paying 10 bucks for something I can just download for free?’ Whereas with vinyl, you ask ‘Why am I paying $24 for vinyl?’ Well, it’s because I get two albums, I get to put it on my turntable, I get the posters [and] the artwork that comes with it… and you can actually feel attached to it,” he says. Kops Records continues to sell strictly vinyl at their Bloor Street West location and almost entirely vinyl at their Queen Street West location. 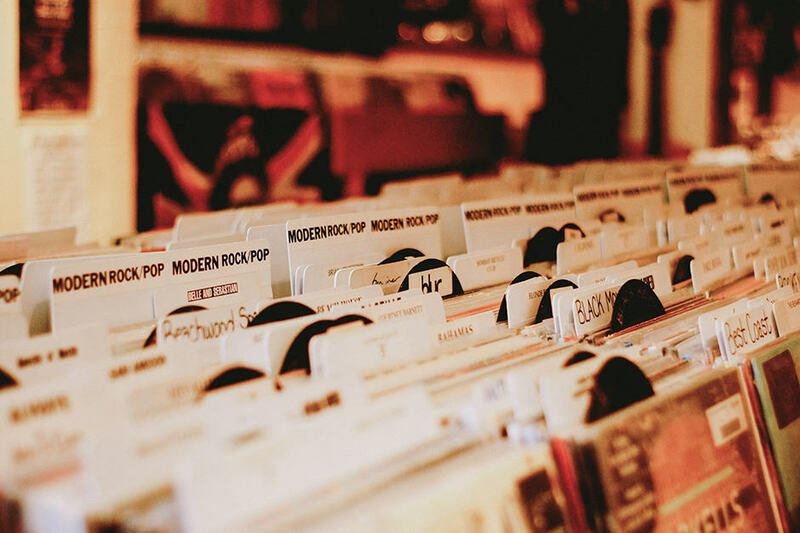 Their dedication to keeping vinyl alive comes from their commitment to selling physical copies of albums and singles; something which has become increasingly uncommon in the digital age. In recent years, Toronto’s record scene has been stepping up its game. 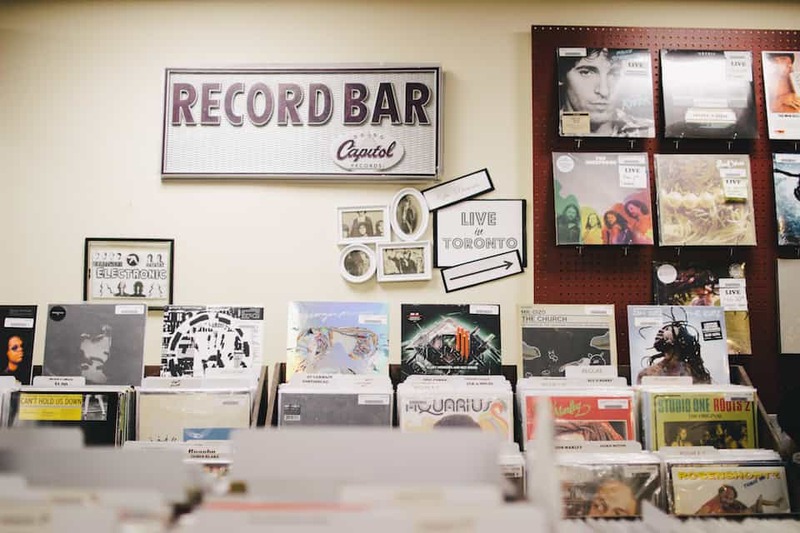 Despite the loss of hometown favourites like Sam the Record Man and Criminal Records, there are new stores and expansions opening left and right for the record enthusiast. Records are an expensive love. That is not to say that you can’t enjoy records cheaply — just that it is extremely difficult to do so. Some of us will get lucky and find a dusty record player tucked away in our parents’ basement, but for those contemplating purchasing one of their own, you will likely want to give it some thought. If you decide to commit, buying the right record player is key. The decision depends largely on why you want the record player and how much you’re willing to spend. In theory, we would all like to spend $1,300 on a sound system that brings the band to your living room — but that is a beautiful but unrealistic dream for most of us. So, if you’re looking to start, the best advice you will ever get about record players is through people. Not the internet — actual humans. If you’re serious about getting a player, go to Bay Bloor Radio, Planet of Sound, or really just any record store — they know what they’re doing. 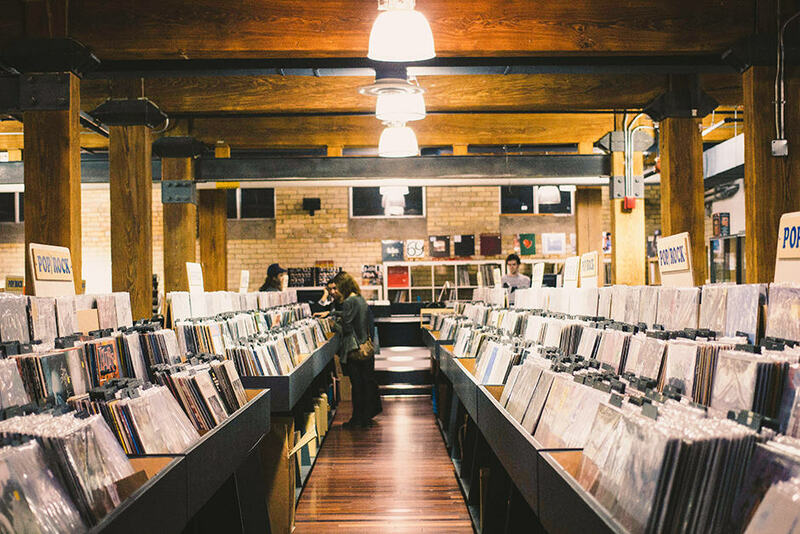 With so many record shops in the city and more opening each year, navigating the options available to you can be daunting. Each shop has its own atmosphere and specialty and are as individual as the people who shop in them. Though big retailers like HMV, Urban Outfitters, and Amazon can be tempting for their familiarity and accessibility — and in the case of the former two, a good record selection — exploring the smaller, independent names can create a different experience and lead to some remarkable finds. Kops has been in the business for years, and they know their stuff. The people here are vibrant and the atmosphere is comfortable making their two locations particularly ideal for those just beginning their relationship with records. Their prices average out to approximately $25 per record. Their specialties are their bins of one-dollar records and excellent vintage collections. If you’re looking for any independent records, sometimes you’ll find old-time favourites at their lowest price in Toronto here. Cosmo’s prices range, on average, from $10 to $30. That being said, you can also find a $60 copy of Highway 61 Revisted. Their prices are all over the board. Their Queen Street West location is a small store with bins everywhere. If you’re looking for an impulsive buy or a rarity, this is the place for you. This boutique-sized shop is hit-and-miss. Their records are priced relatively reasonably at $25 each, and though the size of their selection is rather dismal compared to their competition, it is eclectic — if you’re looking for rarer Animal Collective records, this is your place. Their shining glory, however, is the sound systems they have available in-store. They stock some of the best record players out there and are a good source of information if you’re looking to invest in one. This former Annex staple is now located just off of Queen Street West and Spadina Avenue and, to the rejoicing of Sonic Boom aficionados, the vibe is pretty much the same. Records cost an average of $25 each. Their impressive collection makes them a great spot for holiday shopping. They are arguably also the master of Toronto in-store performances. They have had many great local artists play in the shop such as Mac Demarco, Broken Social Scene, The Wooden Sky, and Luke Lalonde from Born Ruffians. Record shops are a bit of a rarity in the city’s east end, making Tiny Record Shop a small but welcome addition. The prices are average (approximately $25 per) and it has a great selection from local record labels. Another east end stop that offers considerably varied prices. They have an older vibe, and the smell of vinyl in this joint permeates everything: it’s glorious. Discovery Records has a great selection of collectibles and rarities. 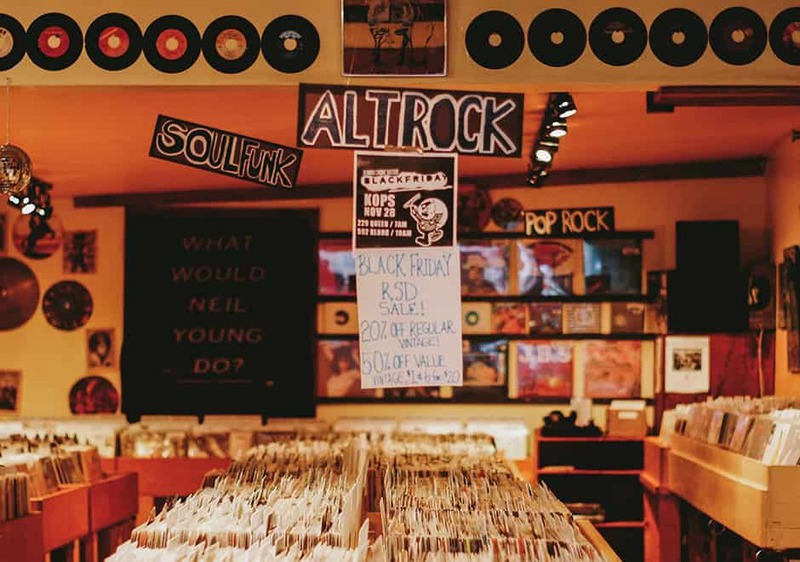 It’s off the beaten track as far as record stores go, and its location means you may have better luck with finding original pressings here. Located at Dundas Street West and Ossington Avenue, this spot boasts what is arguably the best collection of rap records in the city, making it an essential stop for lovers of the genre. 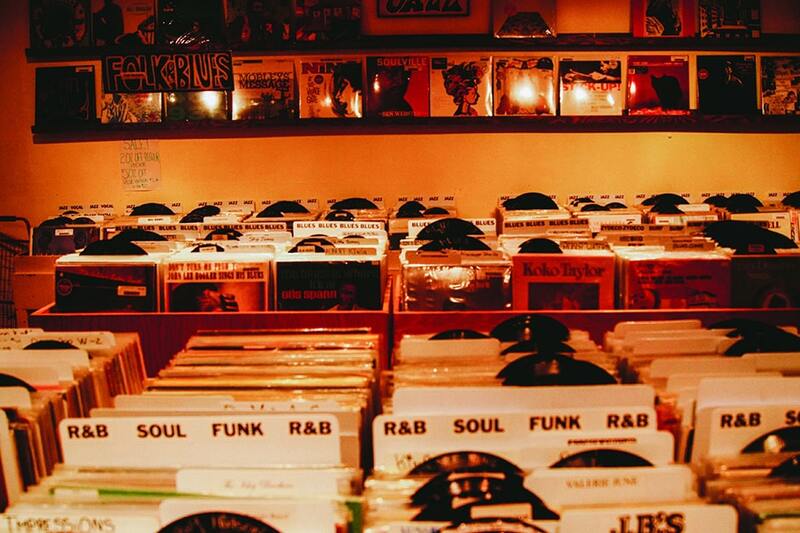 The prices are on par with other shops in the city at an average of $25 per record. The new Roncesvalles location, although harder to find than their former Ossington Street home, is bigger and better. This is not your usual record store collection — if you’re looking for specific titles of independent artists, you may not find them here. What you will discover, however, are underrated finds for anyone looking for something new and different. Conor Tangney resigned from his position as Arts and Culture commissioner at Victoria College on November 21 following a failed motion to impeach him from the Victoria University Students’ Administrative Council (VUSAC) eleven days earlier. Four voting VUSAC executives voted in favour of Tangney’s dismissal, while four voted against it and six abstained. The motion did not receive the required two-thirds majority it needed to pass. Tangney declined The Varsity’s request for comment. At the meeting, DeBues circulated hard copies of a confidential document that laid out the full list of allegations against Tangney. Although the document was not permitted to leave the room, DeBues confirmed in an interview with The Varsity that the charges against Tangney included disrespect towards orientation officials, misogynistic jokes, and homophobic slurs in the VUSAC office. Tangney is also alleged to have joked that “women have no place in politics.” According to Tangney, the remark was a private joke delivered in a sarcastic tone. Tangney said that he apologized immediately after he made the joke. “A lot of you know my humour, out of all the women in the room on VUSAC — I voted for most of you if not all of you,” he reportedly said to the VUSAC members present. During the meeting, Tangney expressed concern that the first time he saw the full list of charges or accusations was at the meeting. DeBues clarified that he knew Tangney was considering resignation and did not want to make the allegations public if he was going to resign. “[Had] I known all the charges, I would’ve submitted a resignation,” Tangney said. DeBues notes that more grievances were made in the week following the motion to impeach Tangney. DeBues does not know whether it was those that compelled him to resign, because Tangney did not mention them in his resignation letter. VUSAC councilors are fulfilling the duties of the Arts and Culture commissioner until the new term, when DeBues hopes to hold a byelection for the position. “I don’t like the idea of losing someone democratically elected and replacing them with an appointee,” DeBues says. University administration is treading cautiously to develop a coordinated response to sexual violence on campus, an announcement on Thursday revealed. The announcement came in a letter from vice-president, human resources and equity Angela Hildyard and vice-provost, students & first entry divisions Jill Matus, and was addressed to the Principals, Deans, and the Academic Directors & Chairs Committee. The announcement comes after a series of legislative developments in the US and corresponding university commitments across North America to tackle the issue of sexual violence on university and secondary school campuses. The events put increased pressure on university administration to develop a coordinated strategy to respond to sexual violence. The letter addressed these pressures. “Recent attention to the issue of sexual violence on University and College campuses… signals an important focus on new approaches to prevention of and response to sexual violence,” it reads. The letter also maintains that sexual violence remains in the jurisdiction of the municipal police, making the university’s scope of involvement complicated. “The University intends to examine these issues in the unique context of Canadian law and the University of Toronto environment,” the letter says. The committee will be mandated to determine the best practices to prevent and respond to sexual violence on campus, and to report findings to the president and provost of the university. Students, staff, and faculty will make up the committee, and focus groups will be held to solicit input from constituents across campus.